This site is your one-stop resource for information about beer, breweries, and travelling to enjoy the amber nectar all over the world. 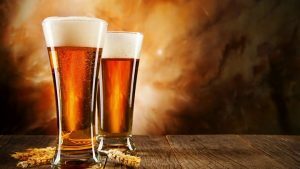 On these pages, you will find plenty of information about beer brewing and enjoying it in countries such as Australia, the UK, Italy, Belgium, Holland, and Ireland. We have done our research to find the best breweries, so you can plan your trip around them. If you love beer, you have certainly come to the right place. We also give you an overview of the different types of beers that are available, so you can make educated choices before sampling them. If you don’t know the difference between an ale and a lager, we are happy to help! Beer has been brewed for thousands of years, and we will take you on a journey from when it was first produced, to the refined modern beverages that are available today. We give you the names of the best breweries to sample beer and local food as well as tips on which beers you should try. We also provide information on alcohol content and the ingredients that go into it. Some of the recipes are hundreds of years old, and we point you towards those that have been perfected from the time of hermit monks in abbeys. Join us on this journey around the world to sample the very best beers that the world has to offer, and enrich your knowledge about the amber nectar and the way it is brewed.